In a collision with a large and heavy commercial truck, passenger vehicle occupants are likely to suffer serious injuries or death. As reported in December 2014 by the National Highway Traffic Safety Administration (NHTSA), in 2013 3,964 people were killed in collisions involving large trucks. Only 691 of those fatalities were large truck occupants. The remaining people who died were passenger vehicle occupants (2,834) and cyclists and pedestrians (439). 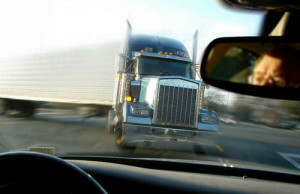 If you have been injured or lost a loved one in a collision caused by a large commercial truck driver, it is important to consult with an experienced truck accident lawyer as soon as possible. At The Los Angeles Auto Accident Attorneys, our attorneys have been successfully handling a range of truck and automobile accident and other injury cases for more than 35 years. Our Los Angeles personal injury attorneys have the knowledge, skills, and resources to handle complex commercial truck accident claims. With increasing numbers of semi tractor-trailers and other big rigs on our roadways, truck accidents are bound to be common in the state of Los Angeles. NHTSA reported in May 2014that 51 large commercial trucks were involved in fatal collisions statewide in 2012, accounting for 8 percent of the total vehicles involved in fatal crashes in Los Angeles that year and 1.3 percent of the U.S. total for large trucks involved in fatal collisions. Nevertheless, the Insurance Information Institute (III) reports that only 10 large truck occupants died in traffic crashes in Los Angeles in 2013, as compared to 315 passenger vehicle occupants, 83 motorcyclists, 50 pedestrians, and 12 bicyclists. When large and fully-loaded commercial trucks collide with much smaller vehicles, other motorists and their passengers – not the truck drivers – face the greatest risk of catastrophic or fatal injuries. It is important to have skilled legal representation after a truck accident with serious or catastrophic injuries. The damages you may be entitled to claim include present and future medical expenses, lost wages, lost future earnings, pain and suffering, and other losses. Our Los Angeles truck accident lawyers at The Los Angeles Auto Accident Attorneys are dedicated to fully assessing the extent of your injuries and aggressively pursuing the compensation you need. When you come to The Los Angeles Auto Accident Attorneys after a serious truck accident, we will immediately and thoroughly investigate your accident, and file claims for the compensation we believe you are entitled to receive. We will also work to ensure that you receive proper medical treatment for your injuries and help you get your life back on track. Due to the multiple potentially liable parties and federal regulations involved, truck accident cases can be complicated legal matters. Our Los Angeles personal injury lawyers have the skills, experience, resources, and dedication to fight for your rights and interests after a catastrophic truck accident. Contact our office today to arrange for a case consultation with an experienced personal injury lawyer with our firm, free of charge.